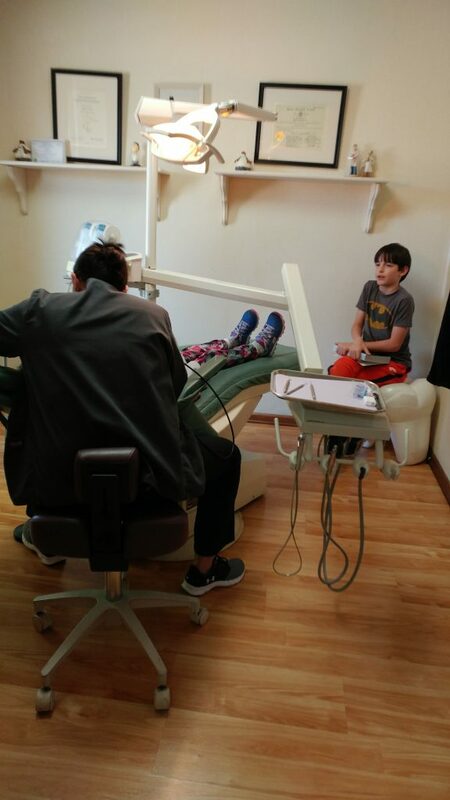 A visit to the dentist interrupts the daily schedule. We have school days Monday-Friday. We take the weekend off. I sneak in letter writing on an odd Sunday afternoon (they both have pen pals), or a home Spelling Bee or some other “school activity” which is fun for them, but I don’t tell them it’s school and I don’t record it as such. They get a 10-minute break between subjects – they can play or practice their tae kwon do forms and moves or do something else that is physical (no computer). It’s like crop rotation. We have used the brain, now it is time to tax the body a bit. As children grow, schedules change. 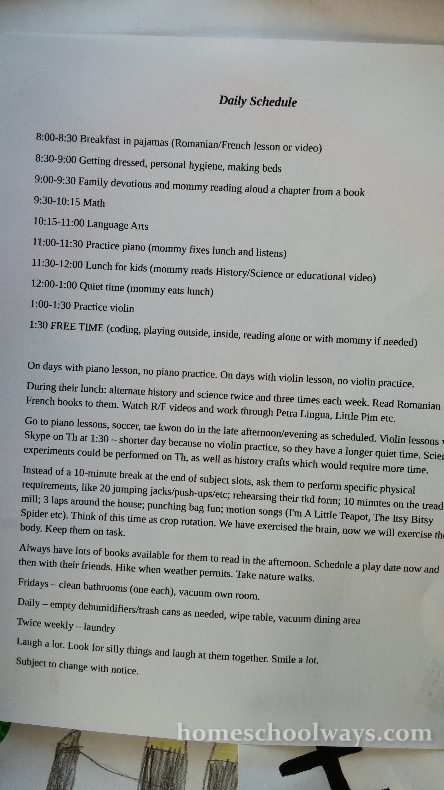 This is our new daily schedule, revised for one child in first grade and the other in third grade, after careful deliberations with an experienced homeschooling mom and my husband. We work simultaneously on most subjects, but in skill subjects one would have to wait a couple of minutes until I explain a new concept to the other child. Ours is a multi-level classroom – they have been around for centuries and they have worked beautifully.